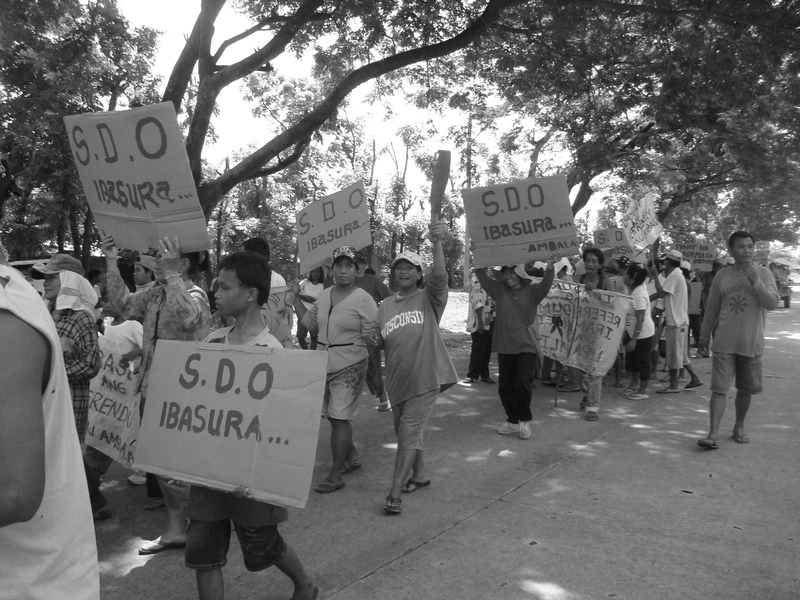 Five decades have went and gone and the days and years continues to run while the struggle for Land and Justice rages on for the farm workers of Hacienda Luisita in the Province of Tarlac, Philippines. As expected of semi-feudal and semi-colonial Philippine society, implementation of genuine land reform beneficial to the farmers and farm workers of our land remains only an illussion as experienced by tillers of our land. To date, manuevers by the Landlords, with much help from willing government and private agency accomplices, is accessible and sometimes even seemingly legal. http://www.haciendaluisita.wordpress.com, is the official wordpress site of Alyansa ng Manggagawang Bukid sa Asyenda Luisita (AMBALA). It seeks to archive and organize photos, papers, and programs, and other tools, essential to the consolidation and unification of our network of friends to emerging and developing calls in stages of our struggle for Land and Justice. Here we shall devour the truth out of the drama. We shall break and burn myths. We shall go naked with the truth. We shall be armed with facts and logical analysis, ready to gun down, ready to slash and burn, ready to kill and put an end to ignorance, and apathy. With blazing zeal, We raised our left fist to signify: Welcome! This entry was posted in Uncategorized and tagged cojuango-aquinos, dapat bawiin, genuine agrarian reform, hacienda luisita, social justice, struggle, tarlac by haciendaluisita. Bookmark the permalink.